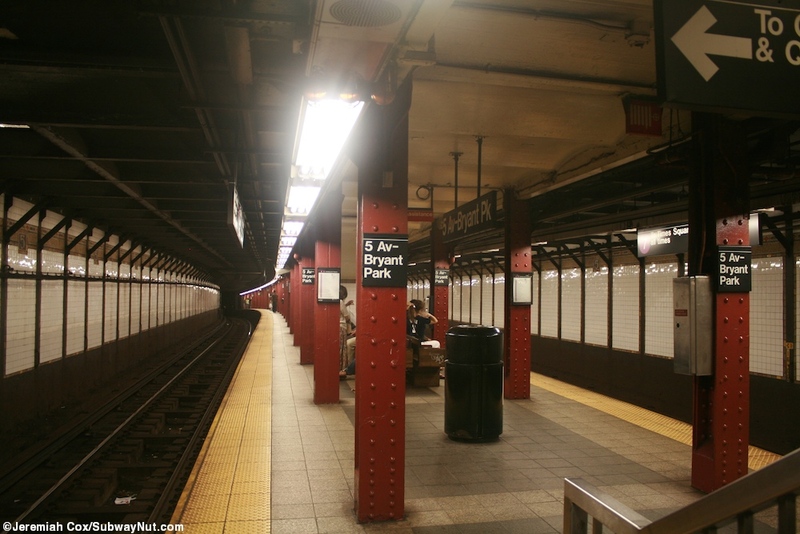 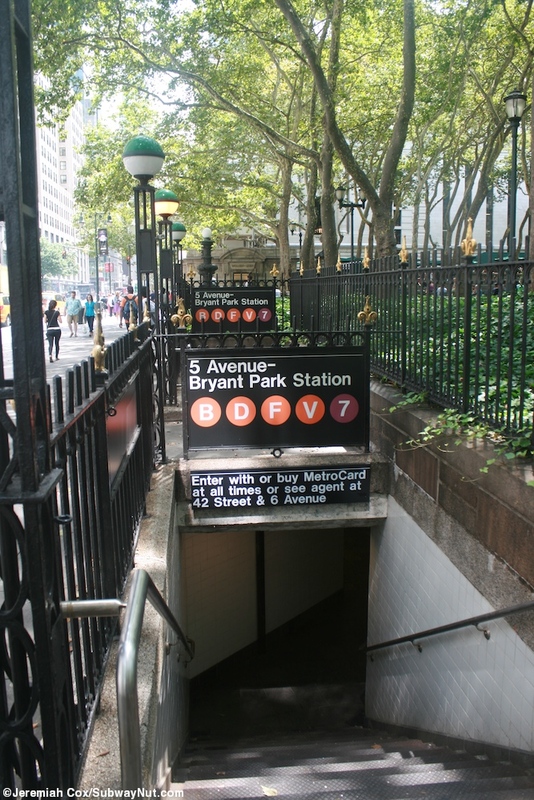 5 Avenue-Bryant Park has a relatively deep island platform for the two tracked Flushing Line. 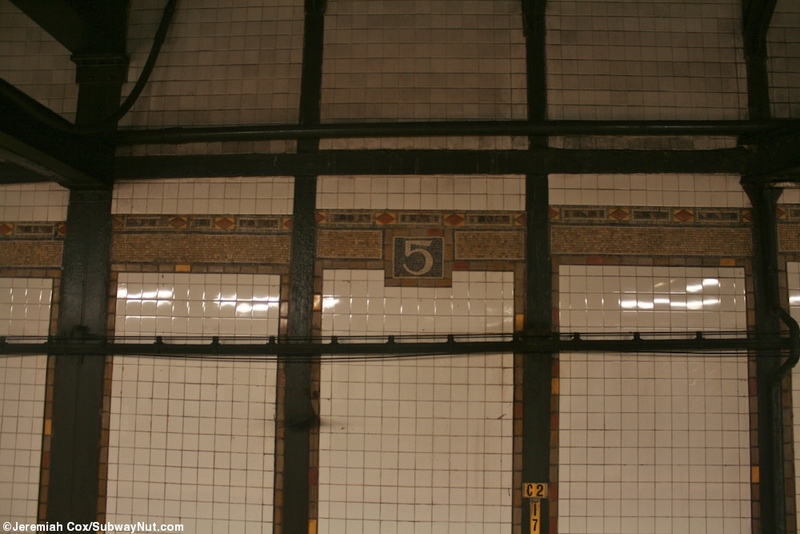 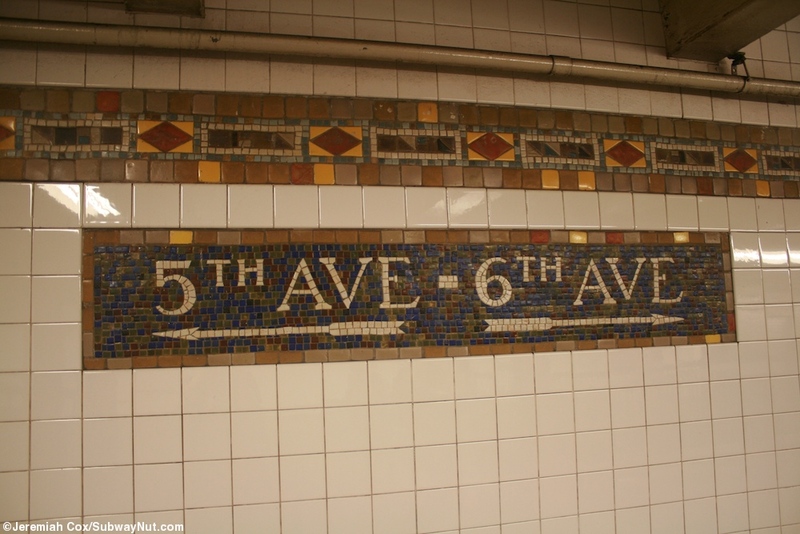 It has platform walls of a golden trimline with little 5s along it for the station name. 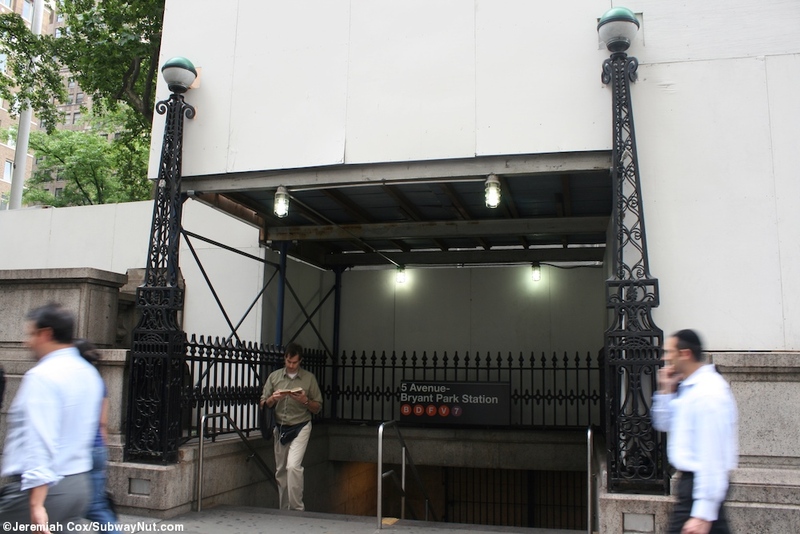 To access the platform it is all from a mezzanine area just above the platform, here at the eastern end there is a single ornate street stair along the SW corner of 5 Avenue and 42 Street in front of the New York Public Library with a full-time staffed token booth before the bank of turnstiles to this mezzanine with regular staircases down to the platform. 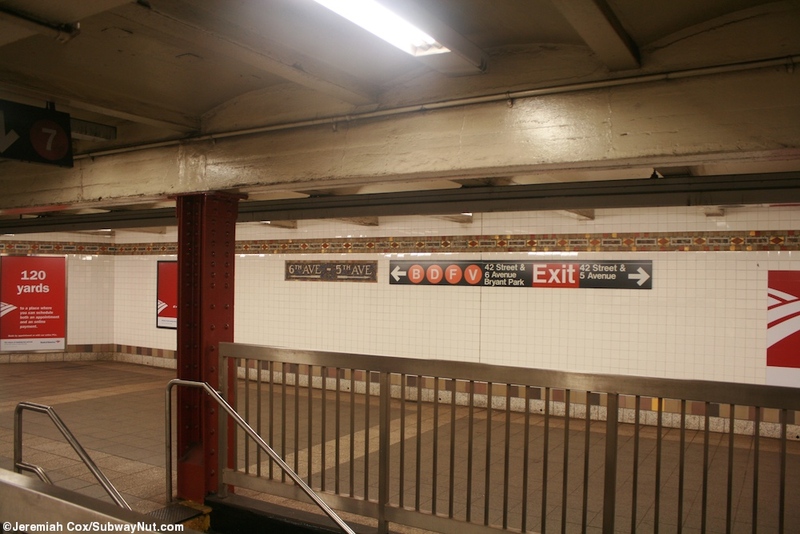 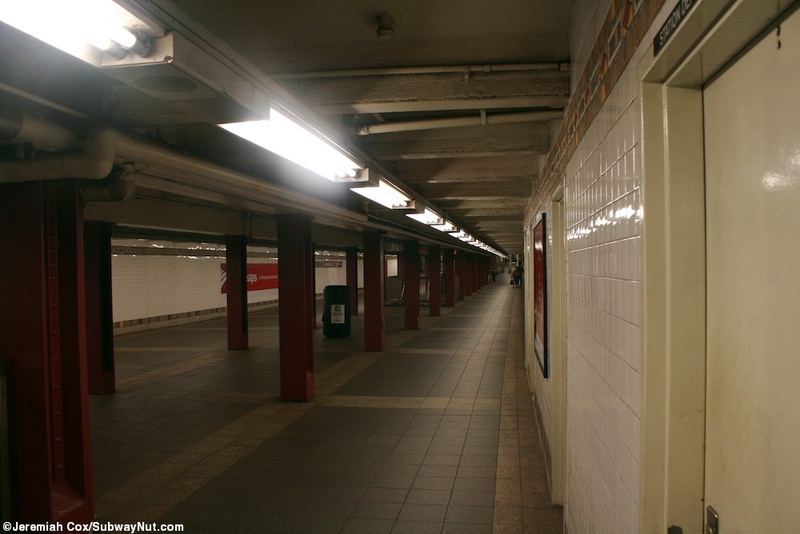 Towards the other western end the mezzanine splits one portion becomes a down hll ramp down where there is another staircases up from the platform and becomes the passageway that leads to the mezzanine of the IND Station beneath 6 Avenue at 42 Street-Bryant Park. 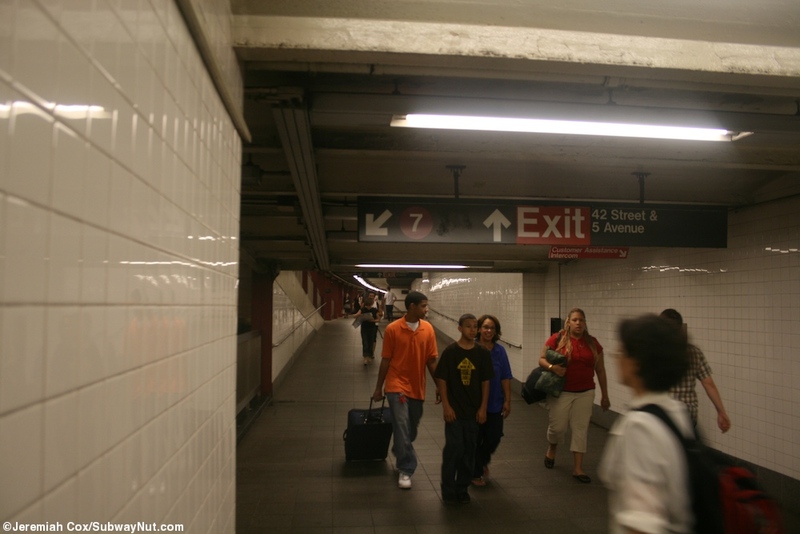 This free transfer began on December 18, 1967 as a walking transfer via the street only during weekdays before a permanent passageway was built. 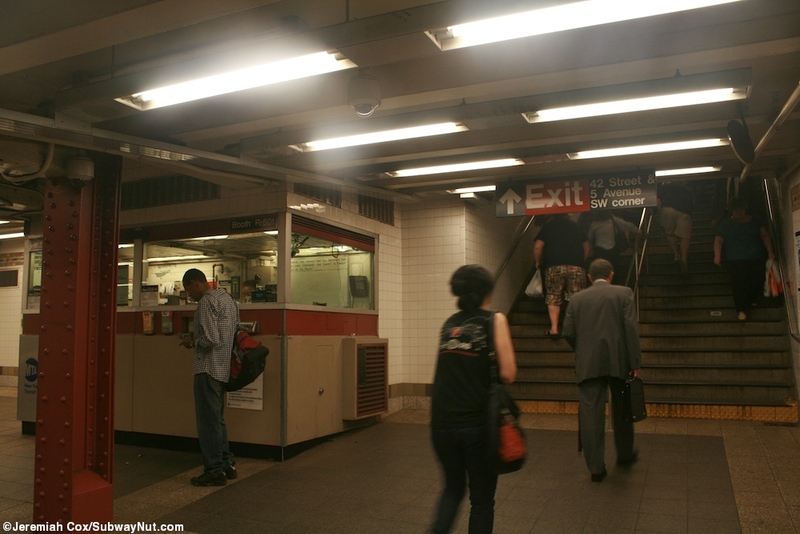 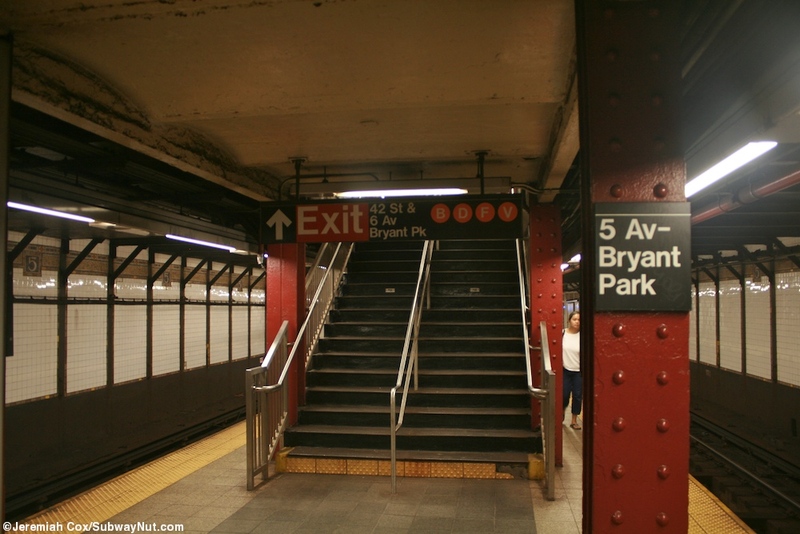 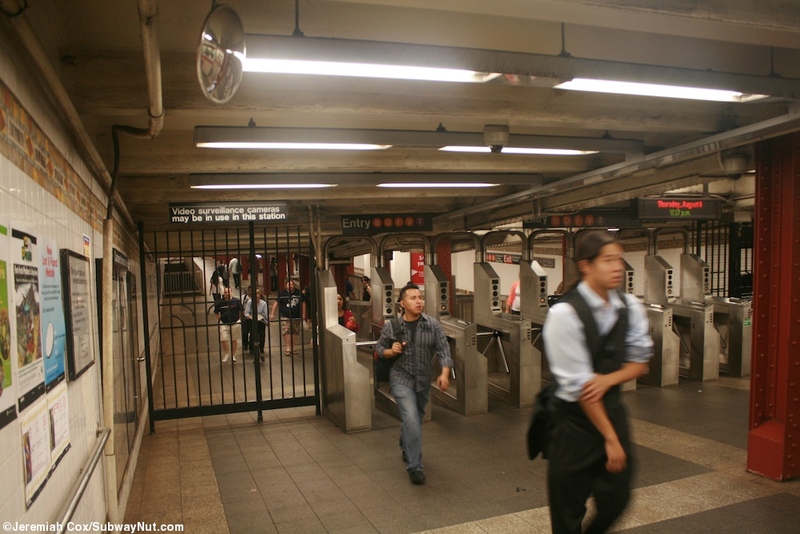 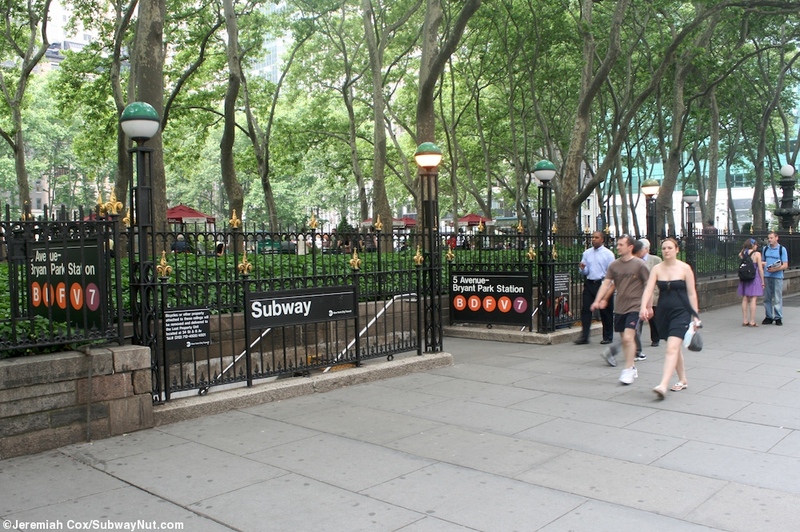 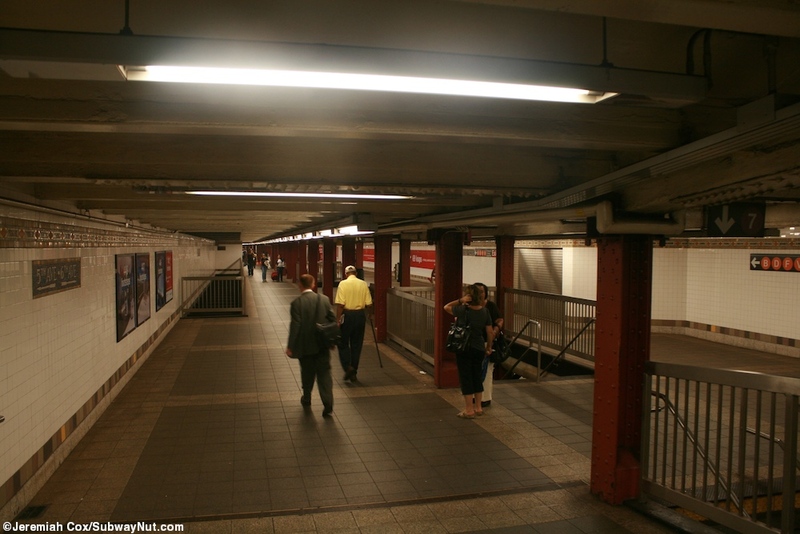 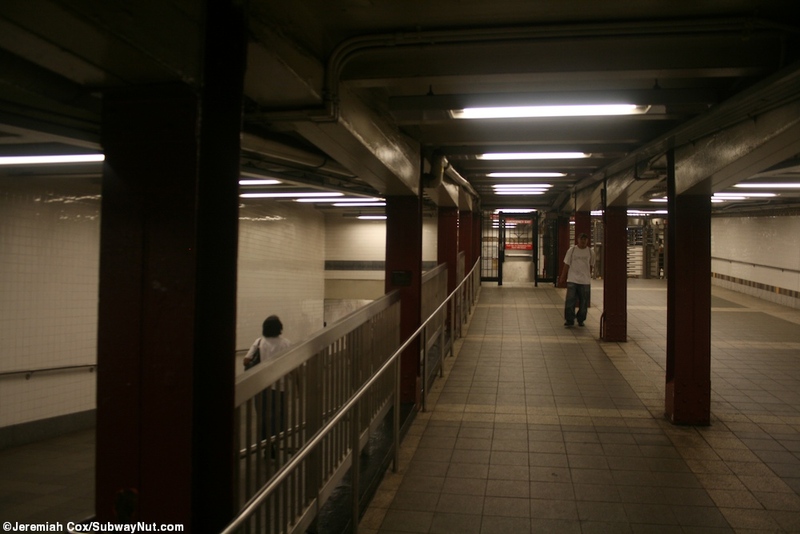 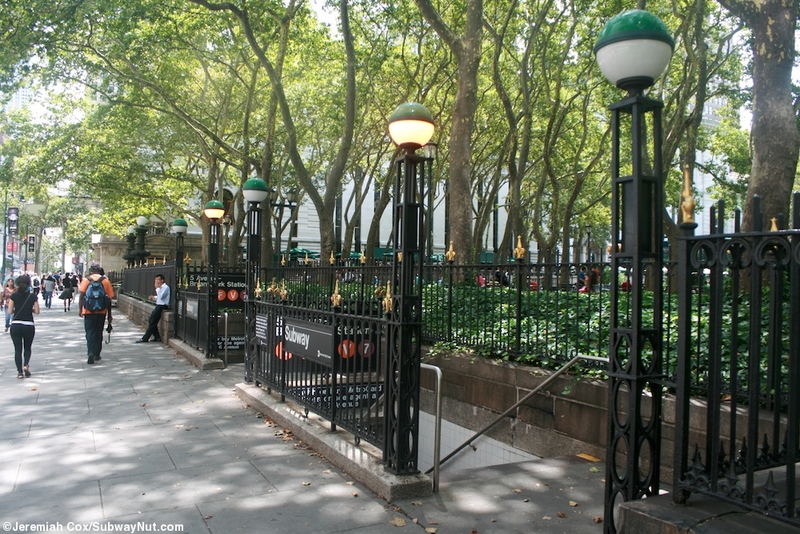 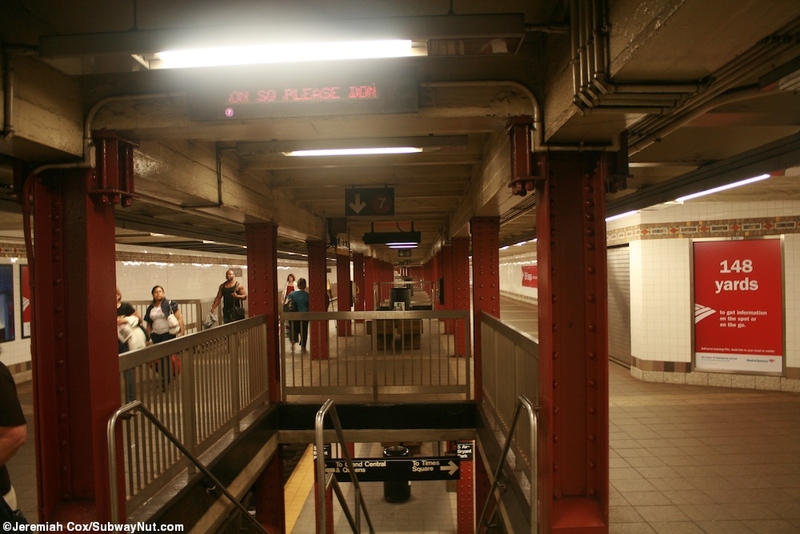 The portion of the mezzanine that curves up leads to some high turnstiles and a small fare control area out to two streetstairs with elaborate ironwork midblock along 42 Street on the northern side of Bryant Park between 5 and 6 Avenues.